The Fourth of July always draws large crowds throughout Los Angeles, which can make the day feel less like a holiday and more like a headache. This year, you can trade in the traffic delays and suffering massive crowds at the beach or parks for a front row seat, or cabana, from the comfort of your own home. Discover the joy of dining al fresco, where you can indulge with both the state-of-the-art appliances of an indoor kitchen and the beauty of the surrounding nature. 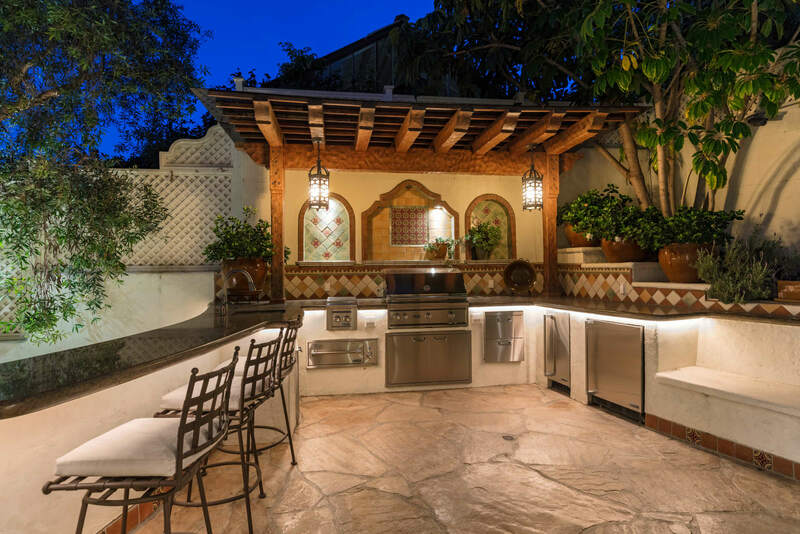 Check out these sumptuous outdoor kitchens that will take your Independence Day celebration festivities to the next level. Dine on the bluff terrace with ocean views all served by the chef’s kitchen. With fireworks expected to be dotting the Malibu coastline, you are certain to be front and center for the show. Whether you grab a seat by the pool or walk onto the beach, prepare for what will feel like your own private fireworks display from the comfort of your secluded seaside oasis. 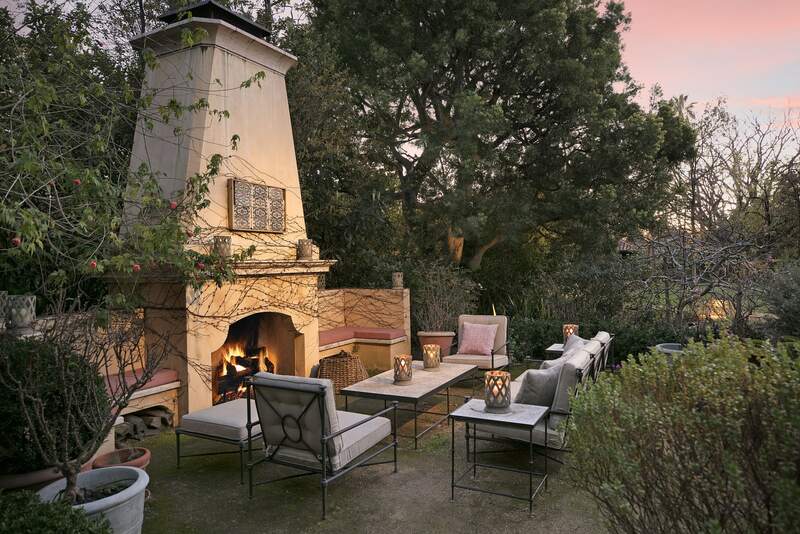 An entertainer’s dream, this chic Spanish Revival boasts an outdoor casita as well as outdoor kitchen seating for 12 and a fire-pit which flanks the swimmer's pool nestled in a walled garden for absolute comfort and privacy. With the Sunset Strip, Rodeo Drive, nightlife, parks and nature in close proximity, the city still feels worlds away, which is refreshing for those seeking refuge from the city on one of the busiest days of the year. 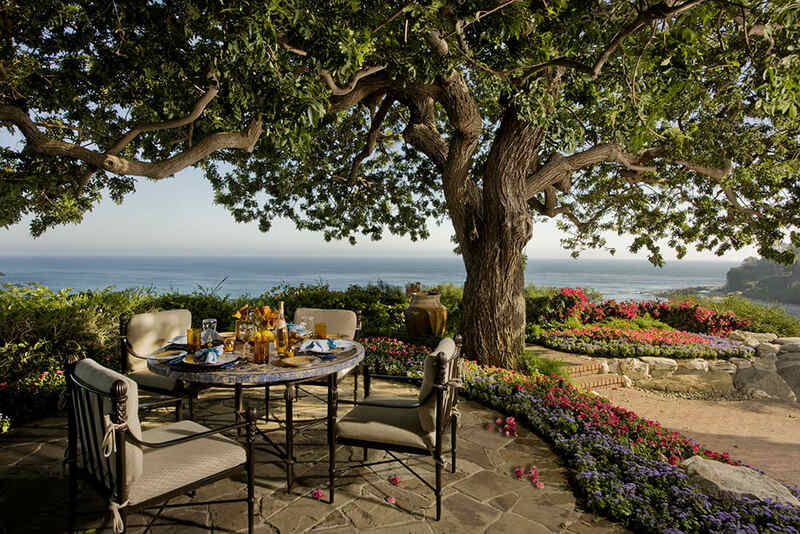 So relax, grab a bite, and enjoy this tranquil sanctuary. This 11,000-square-foot residence epitomizes the contemporary Los Angeles lifestyle of seamless indoor and outdoor living. Get the skewers ready and head out onto the sumptuous poolside terrace for dinner in the luxurious cabana complete with a bar and gourmet kitchen. After dinner, you and your guests can continue the party on the ultimate rooftop terrace and views of the city below and fireworks above. After spending the day in the pool, Jacuzzi, cold plunge, sauna and screening room, you and your guests can finally grab a drink and gather around the Mediterranean-style fireplace to unwind with family and friends to recap the day over a hearty Independence Day meal. Between its massive entertaining spaces, the original art deco 16-seat screening room, flood-lit tennis court, and indoor golf simulation, this 10-bedroom residence sets a new standard of luxury, creating the perfect fusion of a luxury retreat and an entertainer’s ecstasy. After binge-watching some TV shows in the 16-seat screening room, playing a round of tennis and practicing on the indoor golf simulation, you and your guests are sure to work up an appetite. 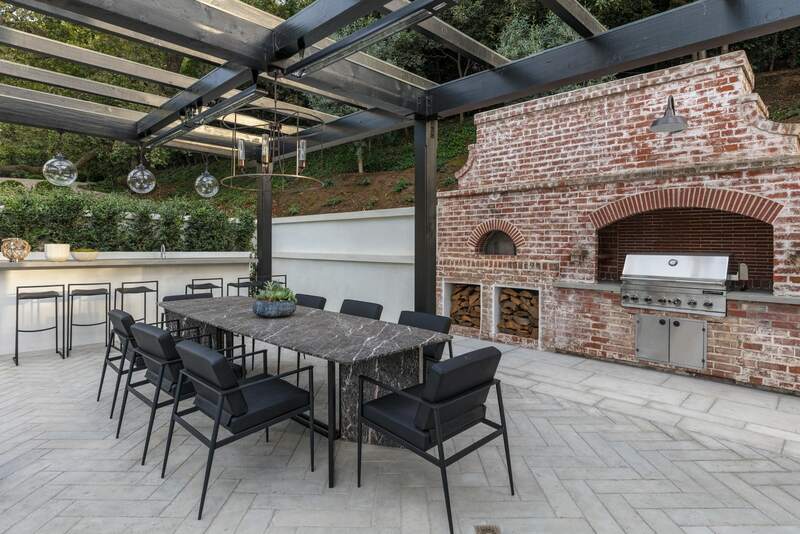 The expansive outdoor kitchen will not only bring family and friends together, but keep them there.